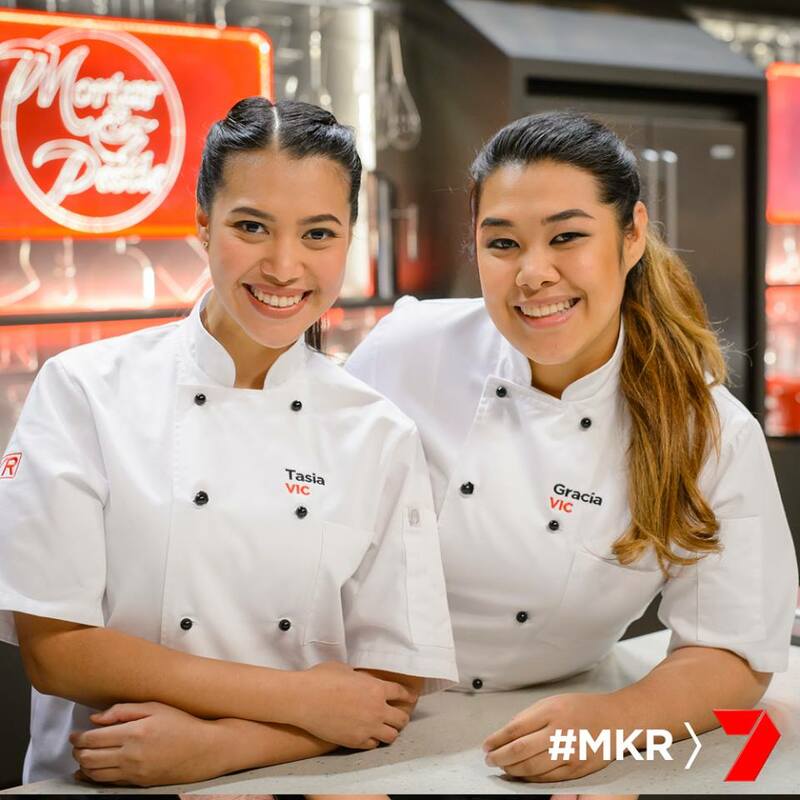 The winners of MKR 2016: did you pick it? 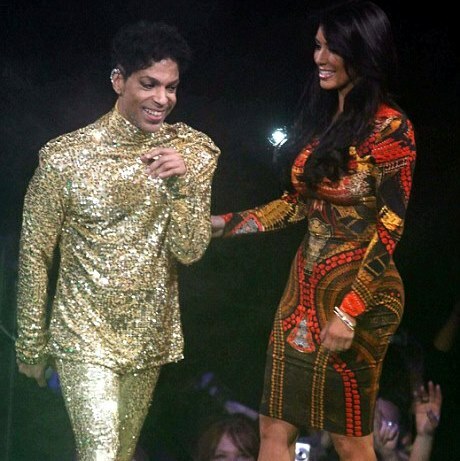 Following Prince’s death footage of the icon kicking Kim Kardashian off his Welcome 2 Tour stage has resurfaced. It's not that long ago, really. You'll remember it. The video was taken at a February 2011 performance inside New York’s Madison Square Garden, showing Prince skimming the crowd for a woman to bring onstage. He selects Kim, who makes her way from the crowd to the stage in a form-fitting dress and stilettos, awkwardly standing next to the pop star for a few moments as he breaks into a series of dance moves. The reality star tweeted about the incident shortly after it happened, blaming nervous energy for her behaviour. Prince is gone, but his legacy lives on. HIS SONGS. Genius, all. Prince racked up seven Grammys during his career. He also performed at the Super Bowl in 2007, in one of the greatest live performances of all time. See below. He also sold more than 100 million records during his career, and won the Academy Award for Best Original Song Score for Purple Rain in 1985. Prince has died, age 57, and of course immediately focus turned to the cause of death. Prince's body was discovered at his Paisley Park home in Minnesota early Thursday morning. Medical examiners have received Prince's body and plan to perform a post-mortem examination at some stage today. However, it could be days before they have preliminary findings, and weeks for toxicology results. 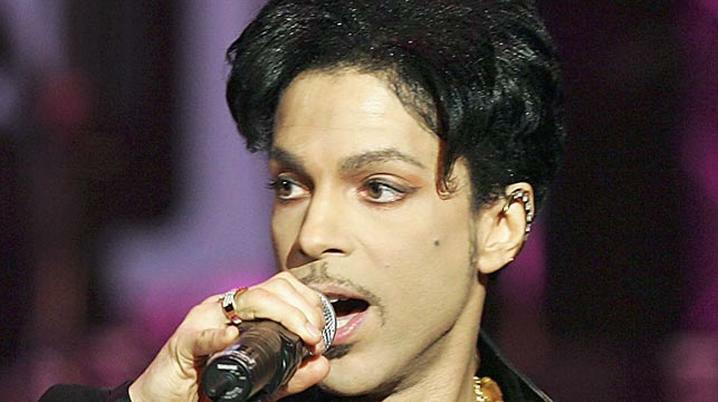 Last week, Prince was unwell and rushed to hospital. That report is here. 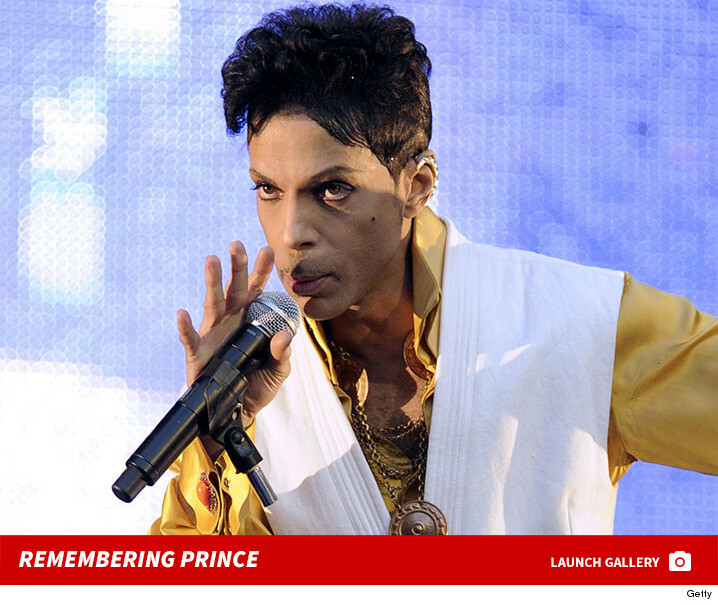 But multiple sources told TMZ he was treated for a drug overdose six days before his death. The next day, Prince appeared at a concert to assure his fans he was okay. His reps told TMZ he was battling the flu. At the show, Prince prophetically told the crowd, "Wait a few days before you waste any prayers." Prior to his most recent appearance though Prince had cancelled two shows due to health concerns. TMZ broke the story; Prince's private jet made an emergency landing in Moline, Illinois last Friday, hours after he performed in Atlanta. At the time his reps said he was battling the flu - which is something TMZ questioned because his plane was only 48 minutes from home before the unscheduled landing. Multiple sources in Moline tell us, Prince was rushed to a hospital and doctors gave him a "save shot" ... typically administered to counteract the effects of an opiate. Our sources further say doctors advised Prince to stay in the hospital for 24 hours. His people demanded a private room, and when they were told that wasn't possible ... Prince and co. decided to bail. The singer was released 3 hours after arriving and flew home. We're told when Prince left he "was not doing well." We know authorities in Minnesota are trying to get the hospital records from Moline to help determine cause of death. We have made more than a dozen attempts to reach Prince's reps for comment, but they went radio silent. The artist known as Prince has died ... TMZ has learned. He was 57. Multiple sources connected to the singer confirmed he had passed. The singer -- full name Prince Rogers Nelson -- had a medical emergency on April 15th that forced his private jet to make an emergency landing in Illinois. But he appeared at a concert the next day to assure his fans he was okay. His people told TMZ he was battling the flu. In news just in, the fave mum and mum in law from 'Everybody Loves Raymond' has died. She was 90. 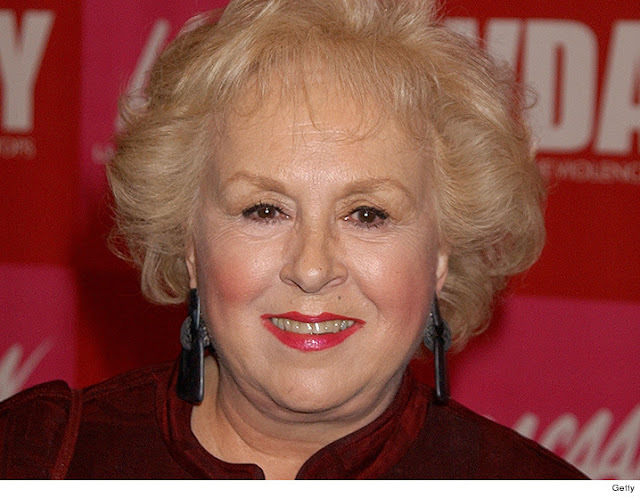 Actress Doris Roberts, famed for her role as Raymond's mother in the sitcom Everybody Loves Raymond, has reportedly died aged 90. Ms Roberts died on Sunday in Los Angeles, TMZ has reported. She has received five Emmy Awards and a Screen Actors Guild award during her decades-long career, which began in 1951. As well as playing Marie Barone in Everybody Loves Raymond, she has also starred in National Lampoon's Christmas Vacation. TMZ reports she is survived by her son Michael Cannata Jr, who works as her manager, and her grandchildren. 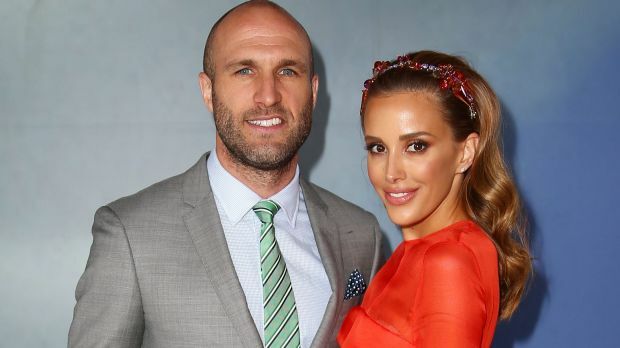 In news just in, Rebecca Judd is pregnant with twins. "OMGEEEEEE- freakin TWINS are on the way," she said. 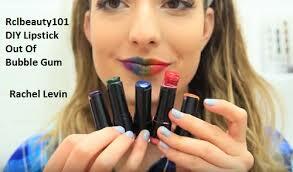 The 33-year-old speech pathologist, blogger and beauty writer already has two young children - Oscar, 4, and Billie, 2. "We can't quite believe it," she told Melbourne's Herald Sun. "We were weighing up whether to go for a third. We thought we would give it a try, and the first go we ended up having twins, which was so unexpected." 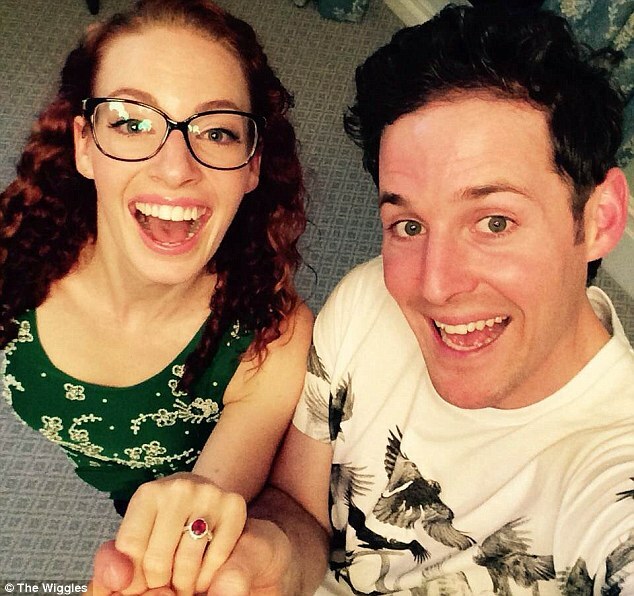 Welcome to the twin club, Rebecca! NSW clocks biggest year for caravan and camping - yes: THE 'Supershow' is back, and showcasing the classic Aussie holiday. The 'Caravan, Camping & Holiday Supershow', that is! 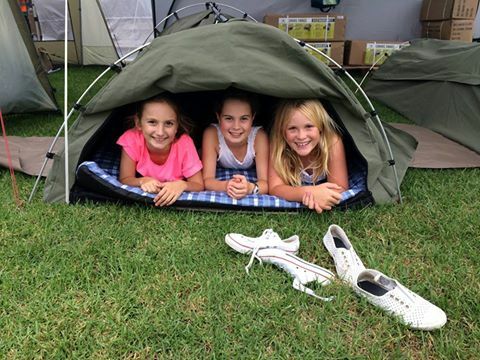 In the past year Australians have taken over 10.7 million overnight domestic caravan and camping trips, with NSW reaching its strongest year ever with over 3.6 million overnight trips in 2015. “It’s been a great year with more than 14.2 million visitor nights spent in caravan or camping accommodation in NSW, making it one of the strongest years on record," Caravan & Camping Industry Association NSW CEO, Lyndel Gray said. “It is clear from the latest industry data, released by Tourism Research Australia, along with what we hear from our own members, that families are loving a traditional Aussie caravan and camping getaway. “Not only do NSW residents enjoy their caravan and camping holidays within the state, we are also seeing strong markets out of Queensland, Victoria and the ACT. “Our member parks offer amenities which appeal to families including water slides and playgrounds, mini golf, cafes and restaurants, and kids clubs. There are also terrific cabins and safari style tents on site for families who prefer the added convenience of these options. "Nationally, caravan and campervan registrations increased by over 5% last year to well over 580,000 - making caravan and camping the fastest growing vehicle registration type for 6 consecutive years." Ms Gray said the upcoming Caravan, Camping & Holiday Supershow, held from April 9 -17, 2016 at Rosehill Racecourse, is an excellent way to see all the latest products and experiences the industry has to offer. 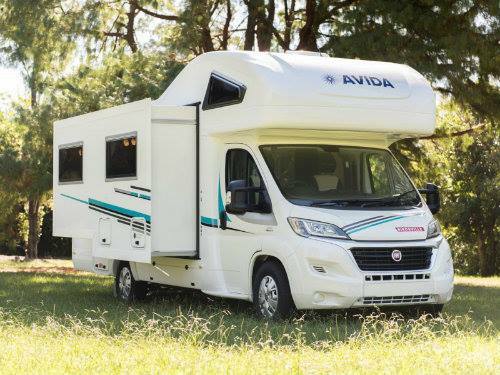 “The Supershow is a fantastic place to compare products, see the latest innovations and get inspiration for your next caravan or camping holiday - there is nowhere else in NSW where you can see so much all in one place. 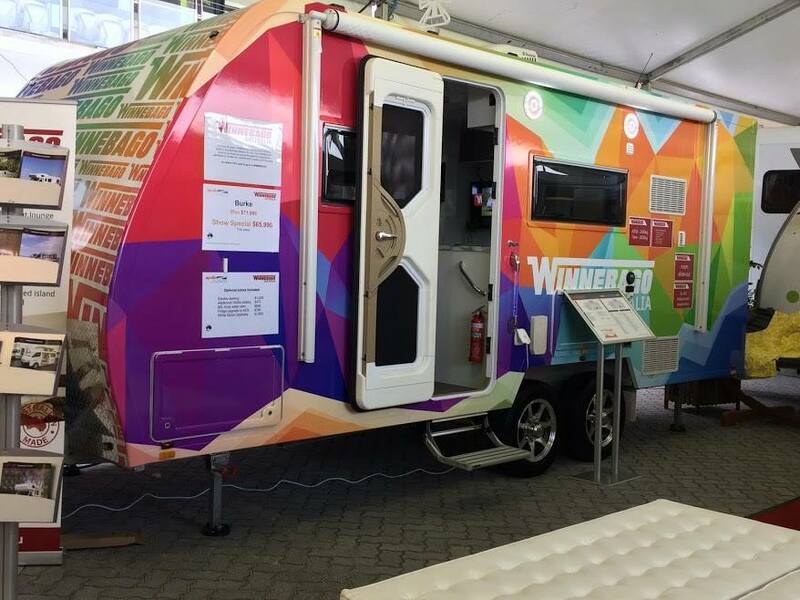 There are also prizes valued in excess of $30,000 on offer, including a Jayco Swift Outback Camper Trailer valued at more than $24,000. “The Supershow is the perfect place to bring the whole family during the upcoming NSW school holidays– with free kids movies, colouring in competitions with great prizes, face painting and jumping castles," Ms Gray said. "There is also plenty of free entertainment, with live Jazz daily in the Champagne bar, and our new entertainment precinct, the XXXX Gold Beer Garden." Onsite parking is FREE and there are FREE shuttle buses from Parramatta station and Parramatta wharf. Tickets are on sale now from the Supershow website (www.supershow.com.au). Online ticket purchases receive a 10% discount and priority access to the Supershow upon arrival. Adult tickets are $25.00 (online price is $22.50), Pensioners and Seniors Card Holders are $20 (online $18) and children 16 and under are FREE when accompanied by an adult. There is so much to see, and one day might not be enough, so this year we have also introduced new 2-DAY passes - also available online. For the VIRTUAL CARAVAN PARK, click here. To download the show guide, click here. To follow the show's Facebook page, go here. There is even an app! Go HERE to download it. 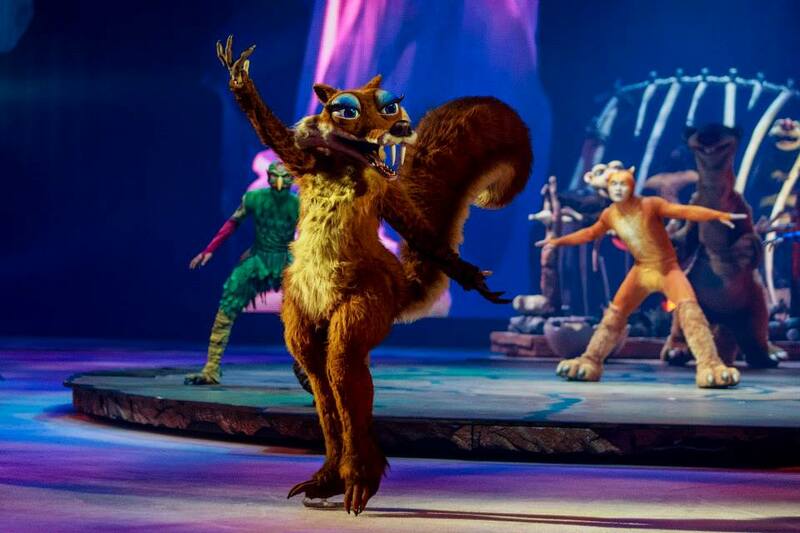 Ice Age Live! 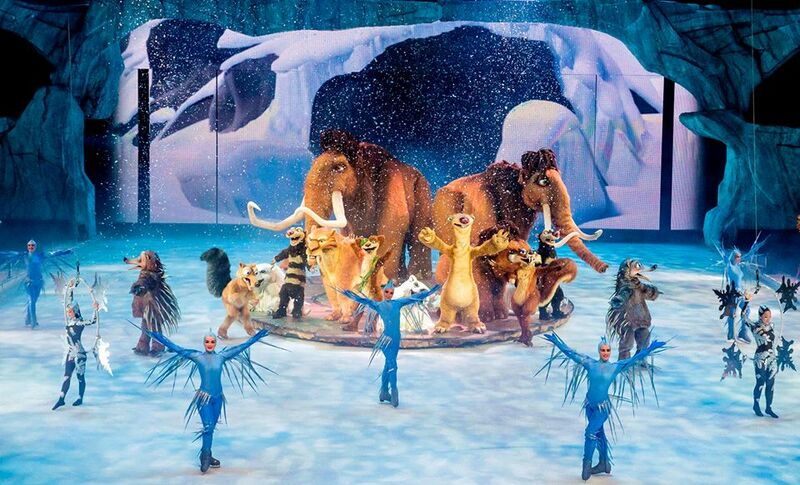 A Mammoth Adventure is the live, ice-skating arena spectacular, starring the characters from the much loved 'Ice Age' films, and it's here during the school holiday season for kids to enjoy - through March and April. Scrat, Sid and all his pre-historic friends are here. TEG Live, Stage Entertainment Touring Productions and Twentieth Century Fox bring Ice Age Live! 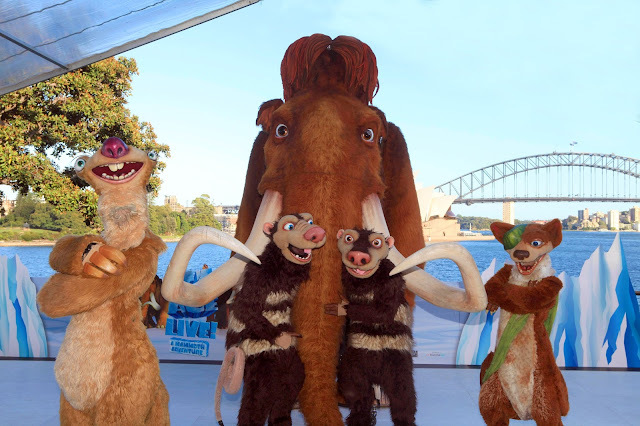 A Mammoth Adventure to Australian audiences - the FIRST EVER AUSTRALIAN SHOW performed on Friday 25 March at Newcastle Entertainment Centre then sees the tour continue to Brisbane, Melbourne, Sydney and Perth for the school holidays (pic below from media launch in Sydney, 2016). Ice Age Live! 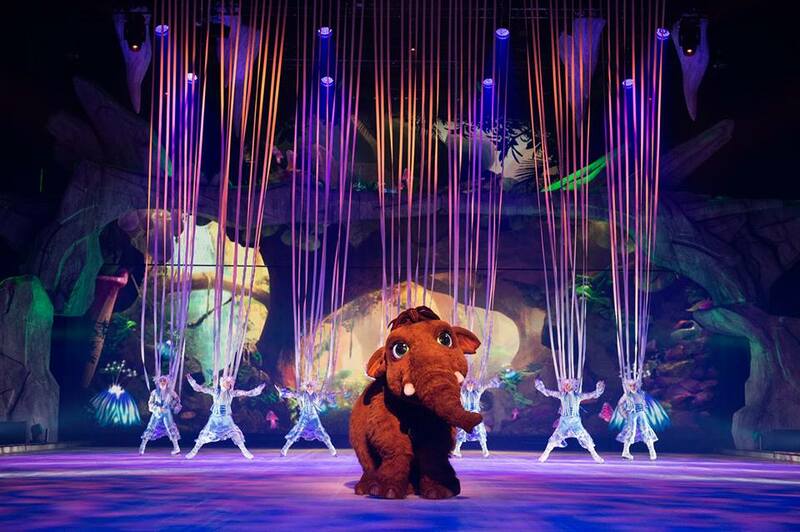 A Mammoth Adventure combines circus, comedy, aerial arts, exceptional ice-skating, puppetry and film, with a new story based on one of the top-grossing international animated film franchises of all time. Have your kiddies watched 'Ice Age'? Okay... how many times? Directed by some of the biggest names in live entertainment, this global phenomenon has travelled 25 (YES!) countries in its five-year tour since the premiere at London’s Wembley Arena in November 2012. Due to popular demand, three new shows have been added to the schedule in Sydney, Melbourne and Perth. Fo all tickets available, go here to Ticketek site. Ice Age Live! 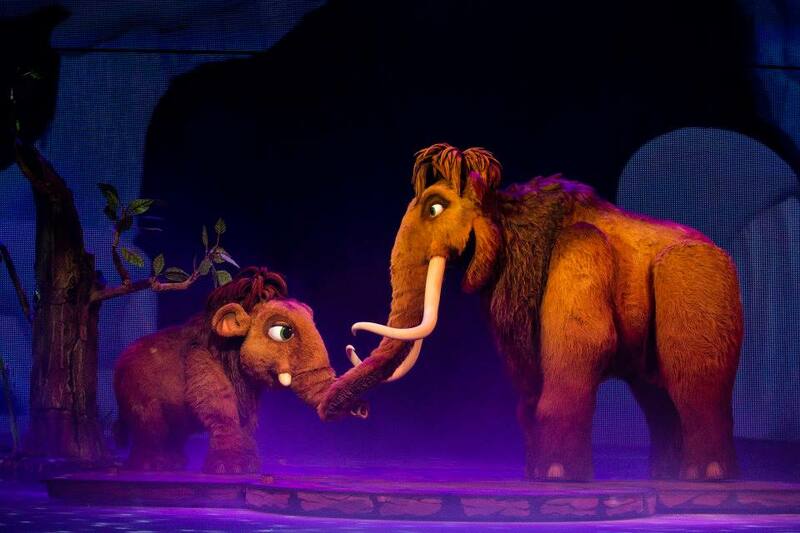 A Mammoth Adventure is brought to Australia by TEG Live, produced by Stage Entertainment Touring Productions and Twentieth Century Fox directed by some of the biggest names in live entertainment. 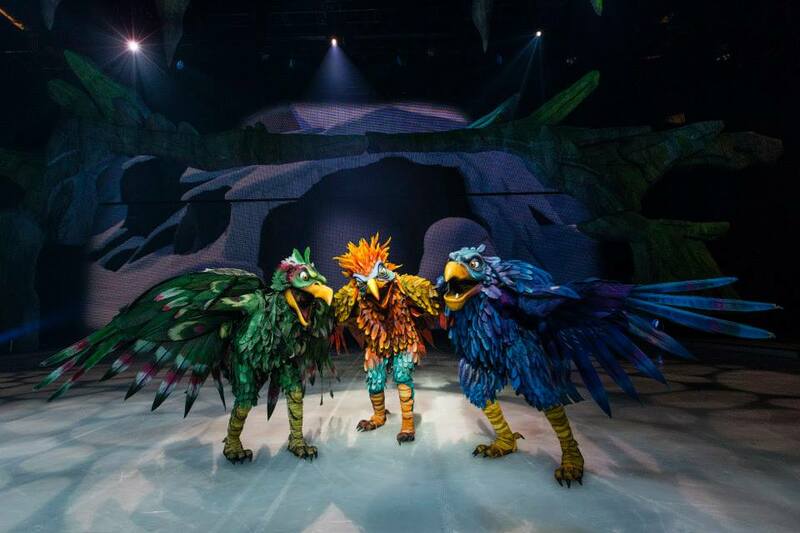 The show is co-directed by the brilliant mind behind the Cirque du Soleil productions, Ka and Dralion, Guy Caron, with story, music and lyrics created by Ella Louise Allaire and Martin Lord Ferguson (Cirque du Soleil, Holiday on Ice and APM Music). Michael Berg, who co-wrote some of the Ice Age films, supervises character dialogue. Character Visualisation design is headed by co-director Michael Curry (Cirque du Soleil, Walt Disney’s The Lion King). Pop legend Prince has been released from hospital after a health scare forced his private jet to make an emergency landing. The US singer was rushed to hospital by ambulance after his jet made an unscheduled landing in at Quad City airport in Moline, Illinois around 1am local time. Initial conflicting reports suggested the chart topper was "not doing well", however a spokesman for the singer told TMZ he has been discharged and is now recovering at home. Entertainer, producer and reality television star David Gest has died in a London hotel aged 62, a statement from his friend says. Gest, who is a former husband of singer Liza Minnelli, died at the Four Seasons hotel in Canary Wharf. He was perhaps best known for his marriage to Minnelli. They were married in 2002 and officially divorced in 2007. He was also a childhood friend of Jackson and his brother Tito. His friend and ex-bodyguard Imad Handi confirmed the news in a statement. Gest was also best known in the UK for his appearances on I'm A Celebrity... Get Me Out Of Here! and Celebrity Big Brother. David Gest's Best Moment's In The Jungle | I'm A Celebrity...Get Me Out Of Here! 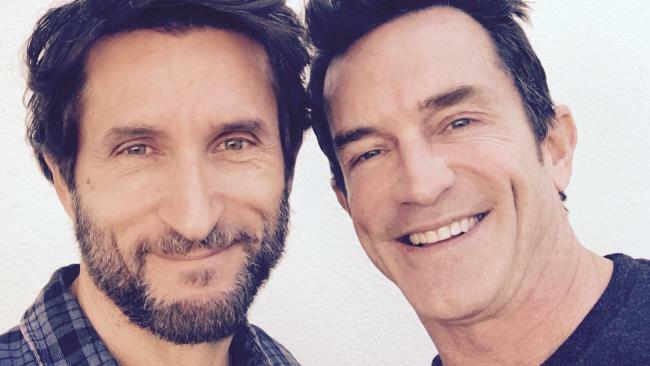 In a surprise TV move, actor Jonathan LaPaglia has been named as the host of upcoming big-budget reality series 'Australian Survivor'. The Aussie actor is best known for his roles in TV series including 'Love Child' and 'The Slap'. 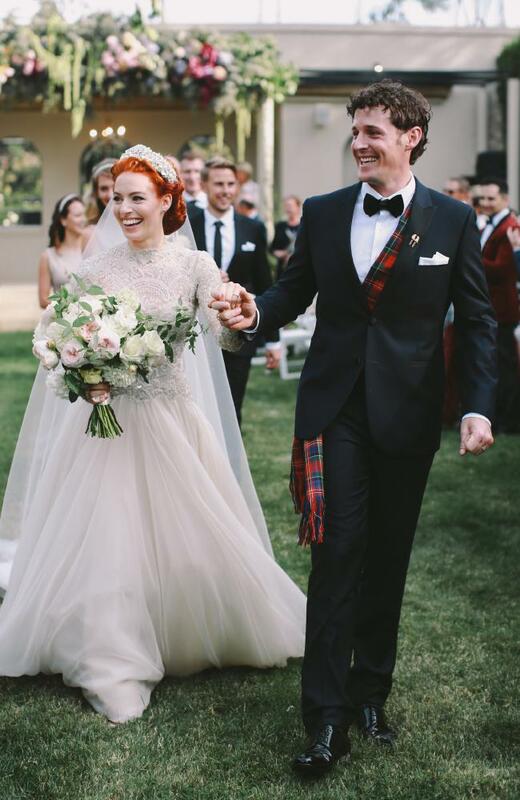 Purple Wiggle Lachlan Gillespie and Yellow Wiggle Emma Watkins got married yesterday in Bowral! See the photo here below, from The Daily Telegraph (photo Lara Hotz). Read the full story here, and in today's The Sunday Telegraph. The couple were dating while kept it quiet for two years. Yesterday, they made it all official.